It’s been happening for an age…Mr C wearing the same old top week in week out, accompanied by the tried and tested moan of “but I’ve not got nothing to wear”. Most men are notoriously bad at shopping and my other half has even been known to bust out items from his teen wardrobe (my God yes! he still has some) because the clothes inspo had just fallen flat on its face. So in a bid to inject some much-needed new life into his wardrobe without having to step foot into a REAL shop, we teamed up with MandM Direct menswear with a focus on dressing daddy this time. Although most dads tend to live in denim, it can all get a bit samey. 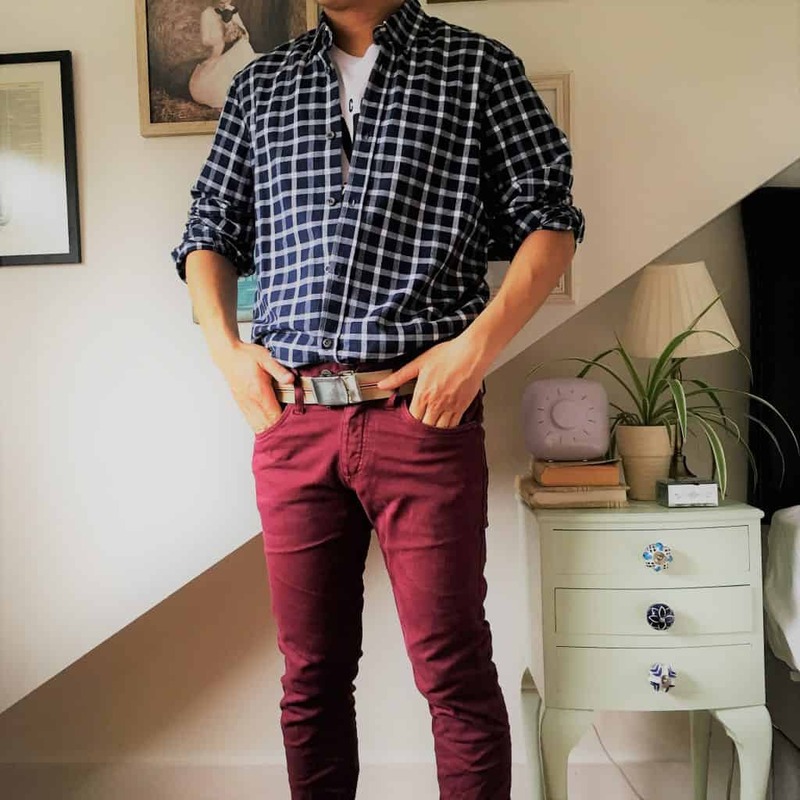 A quick way of zazzing their lovelorn wardrobes up is by switching up the denim for chinos that are not navy…or god forbid…beige! and injecting a bit of colour with some funky tones. We’re loving these one from Jack and Jones in port. 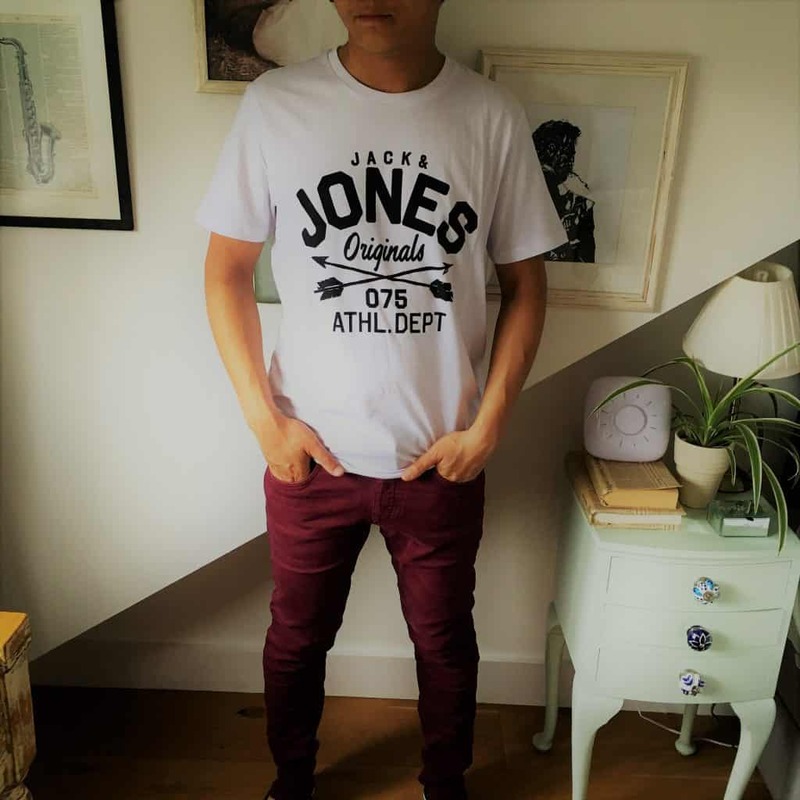 An instant way to upgrade the cool factor is with a comfy branded tee…made for every day casual wear this Jack and Jones rendition is perfect to offset the bold colours down below. And because we all know the summer in Blighty is changeable, layer up with a checked shirt (rolled up sleeves a must) like the one pictured above from French Connection. 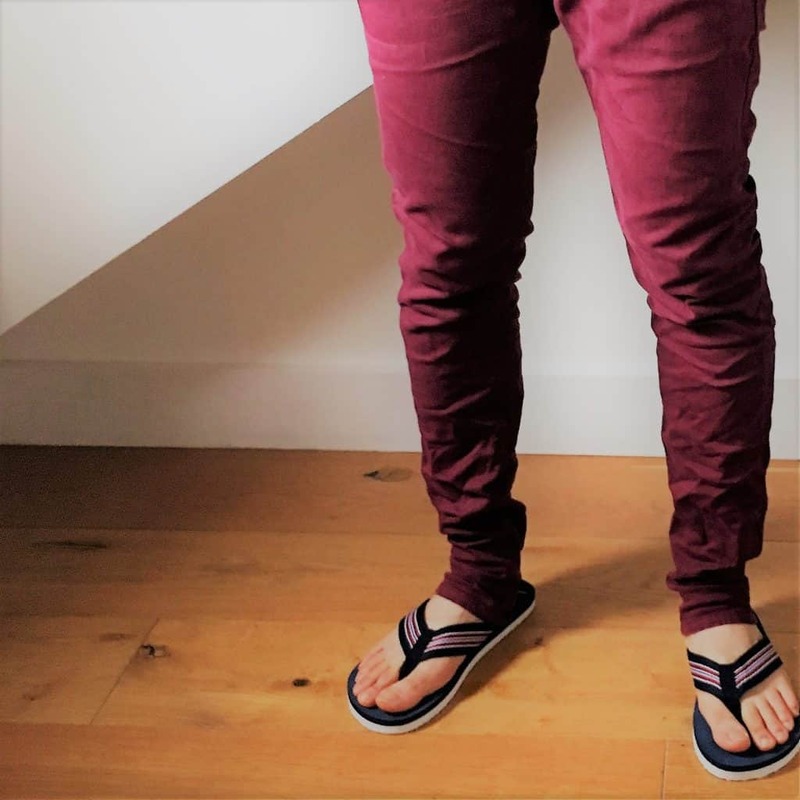 Pop on some flip flops and you have one free and easy, no fuss look which will make him look like the coolest Dad on the block (or school run!). So what do you think of this menswear outfit? Could you see your resident daddy in it? Do share in a comment below. And mamas, if you’re looking for some summer style inspo for yourselves don’t forget to check out my summer style feature here. Previous Welcome to the #coolmumclub….week 68! Ooh my husband would LOVE all of these items, the jeans and the Jack Jones T-shirt especially. They look fab, M and M direct looks to be an amazing website! I was looking for the thong and then realised that they are what I call flip flops! Nice outfit here. This t-shirt is ideal for the Summer time! 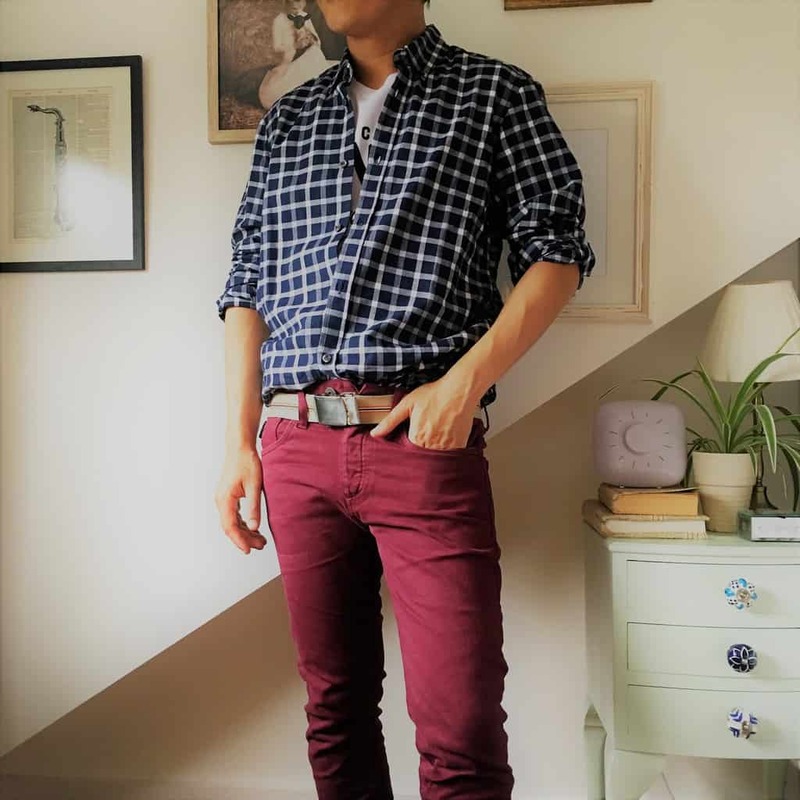 Those burgundy chinos are everything I love the pop of color so fab! There great prices for jack jones. My eldest tends to shop in H&M for this JJ clothing as their prices are great but will look on this site to from now on. Love the chinos. Great outfit and i love a bit of colour for a change, makes a real difference to the plain old blue jeans! Excellent selection of clothes and fantastic value, I’ll definitely be telling Chris to check out their range! I love the shirt that looks great. Not sure about the colour of the chinos I’d have gone for a dark blue myself. Great choices, and he looks very smart in them all. I love the price of them too!